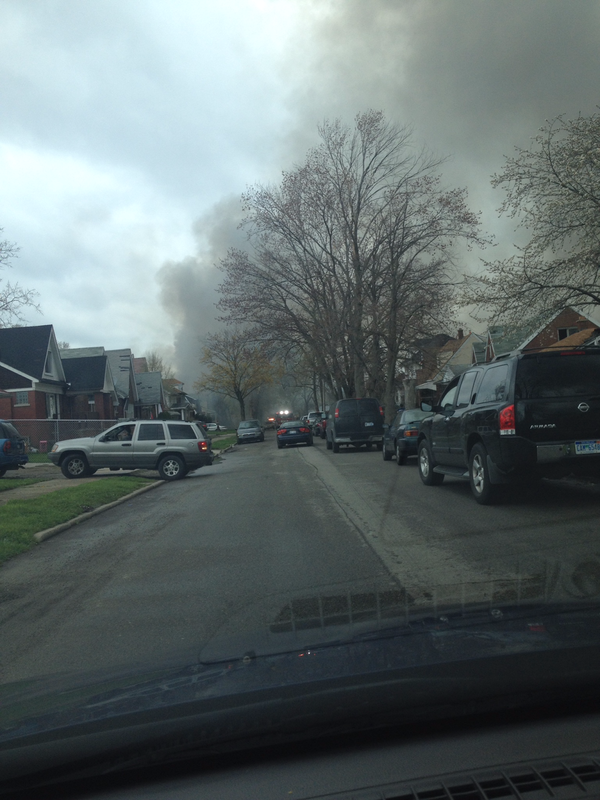 A fire broke out this afternoon on Montrose Street in the Warrendale neighborhood. The fire started shortly after 2 p.m. at a home just south of W. Warren Ave. The Detroit Fire Department responded promptly to the scene. It's not clear, though, whether or not this home was occupied at the time of the fire. Smoke clouds from this fire could be seen from almost three miles away. I was at Ford Rd. and Evergreen this afternoon when I saw it and decided to investigate.